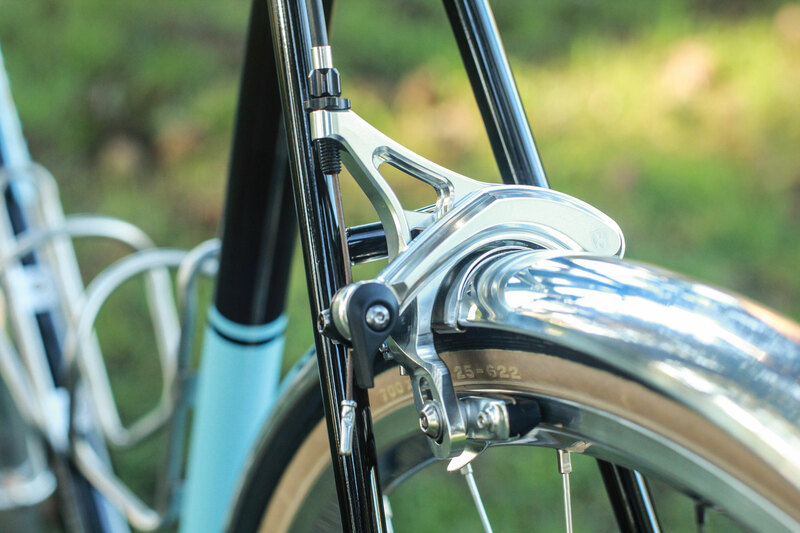 The epitome of classic steel elegance, this year-round road bike was born from thousands of miles riding with and building for the Rapha Continental. 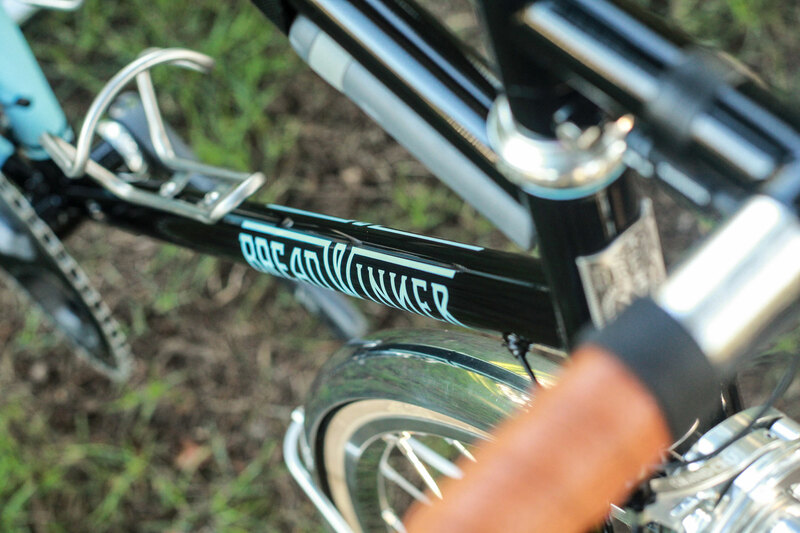 Designed with a beautiful lugged steel fork, level top tube and a mix of the most dependable and best looking components available. 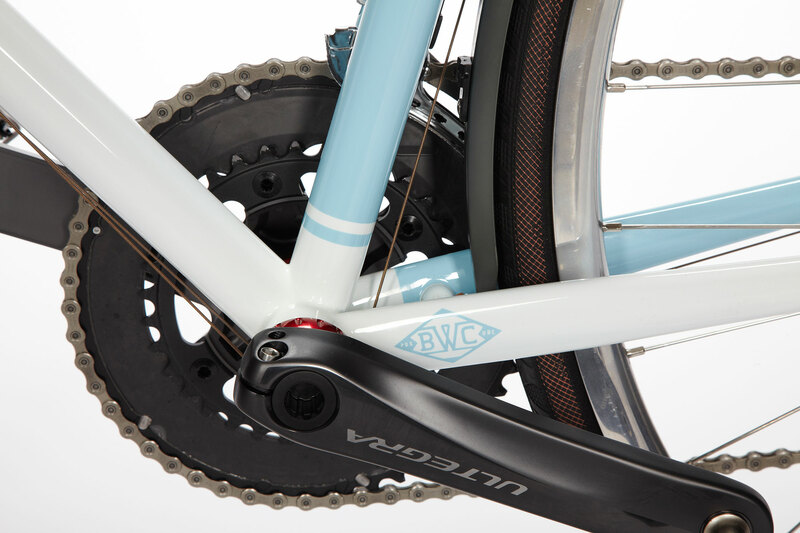 Effortless, predictable handling and full-coverage fenders will keep you comfortable on epic rides any time of year and on any road. 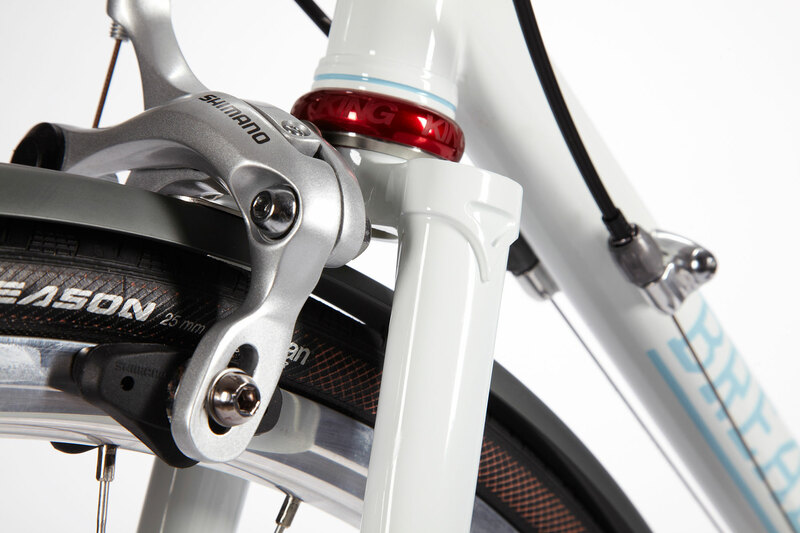 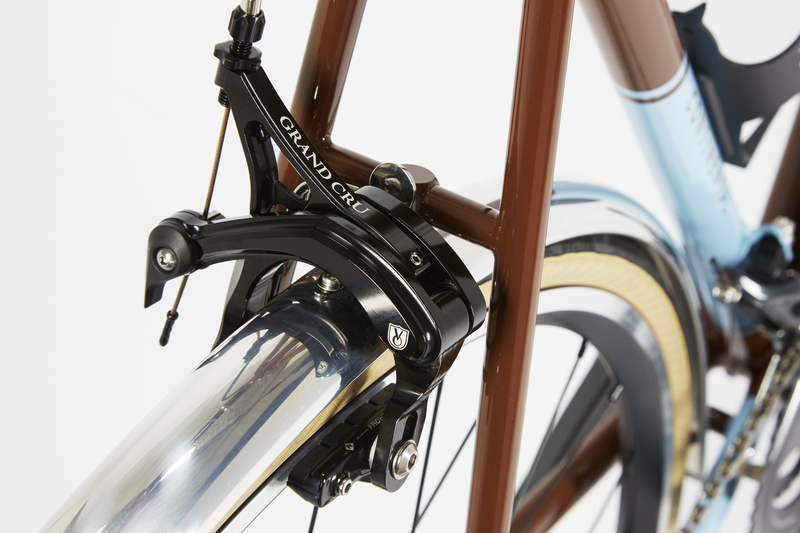 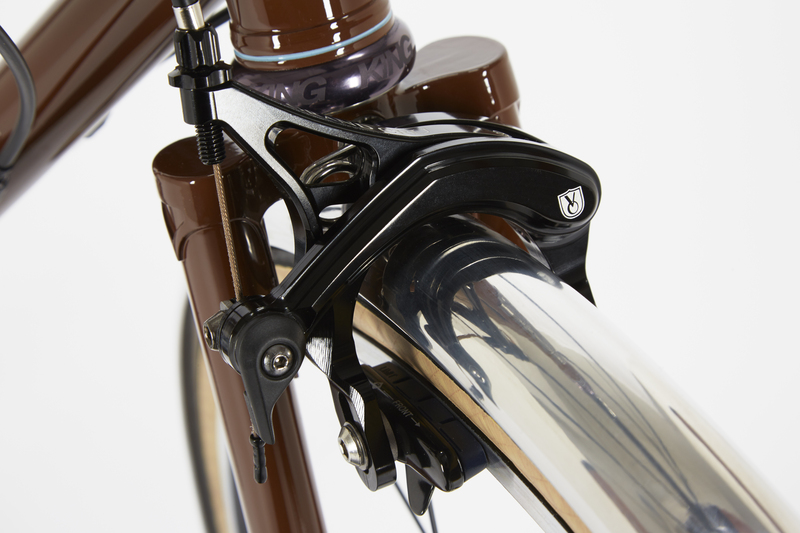 Velo Orange Grand Cru long reach brakes. 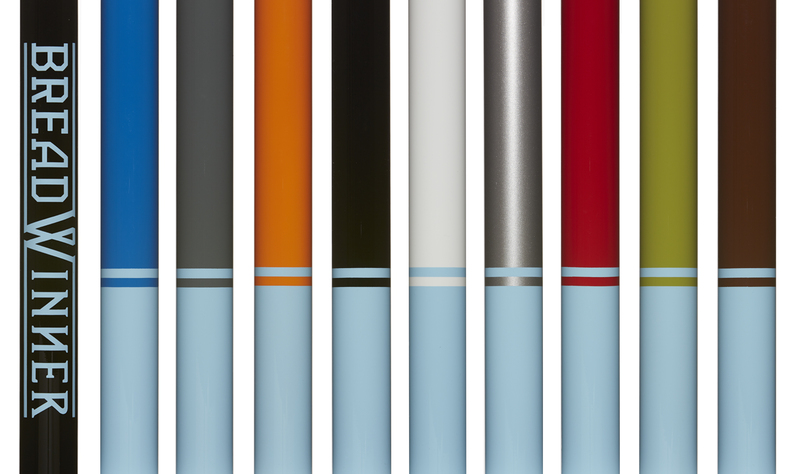 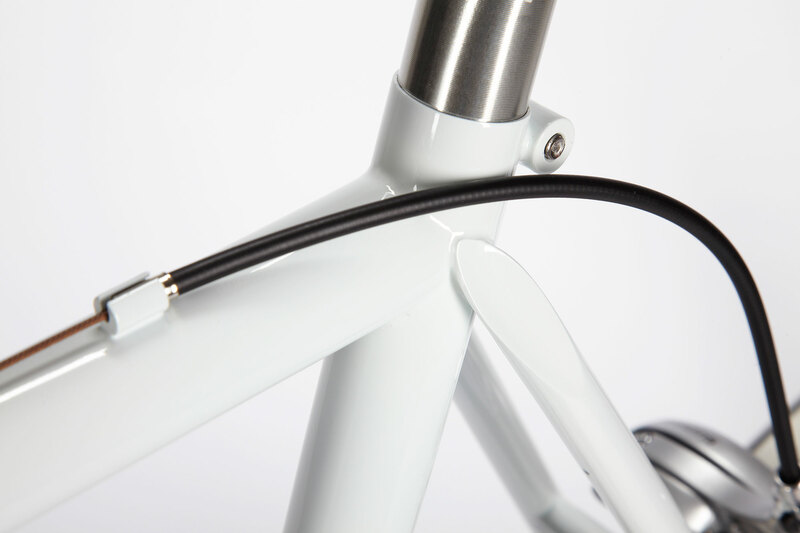 Silca Impero frame pump painted to match. 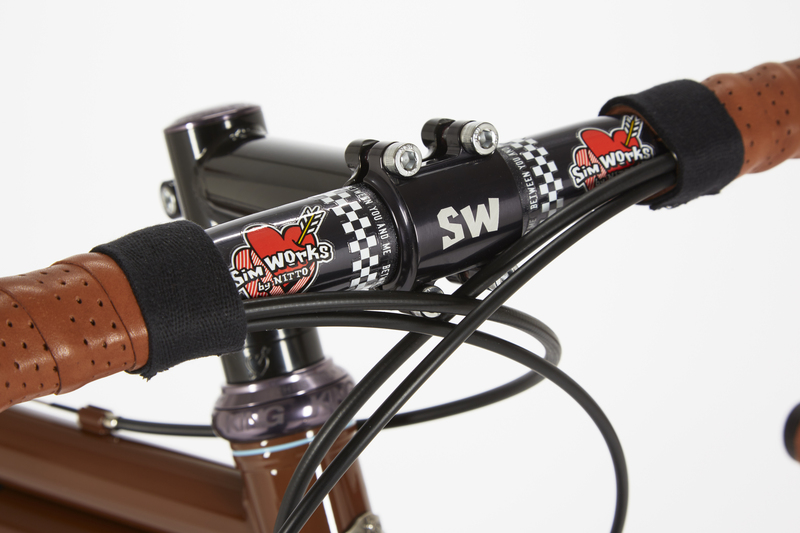 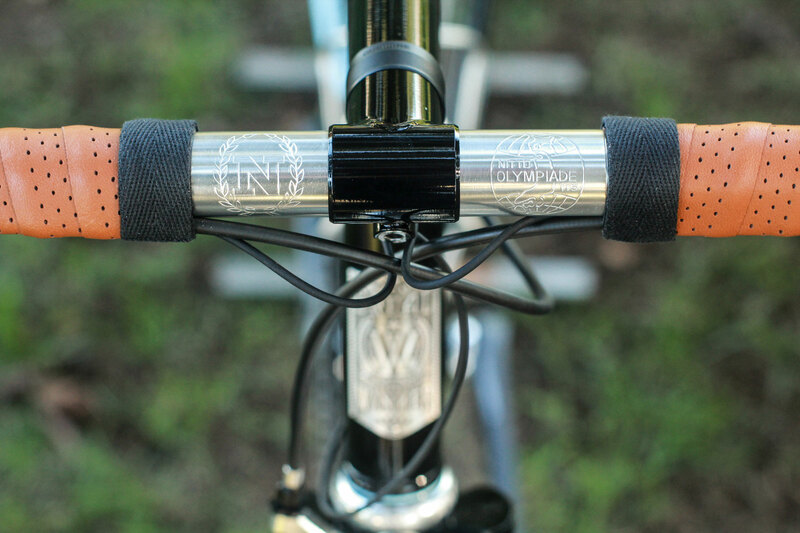 Nitto 25.4 clamp bars with custom Breadwinner stem. 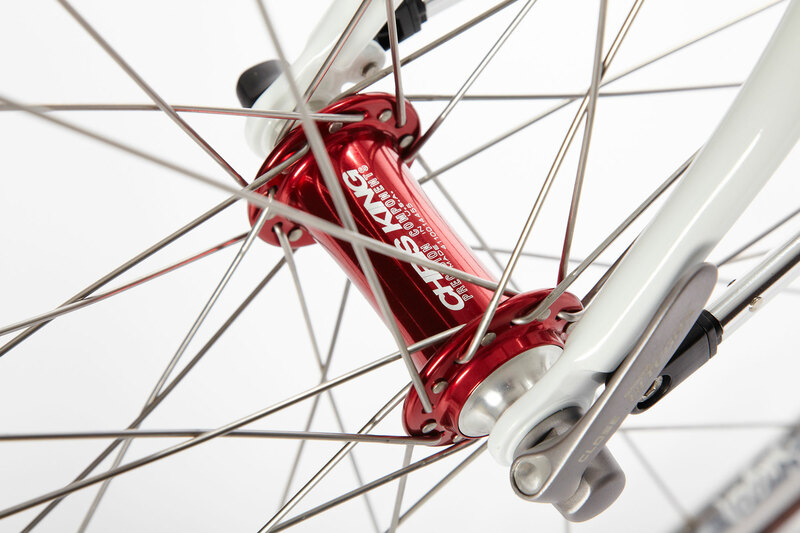 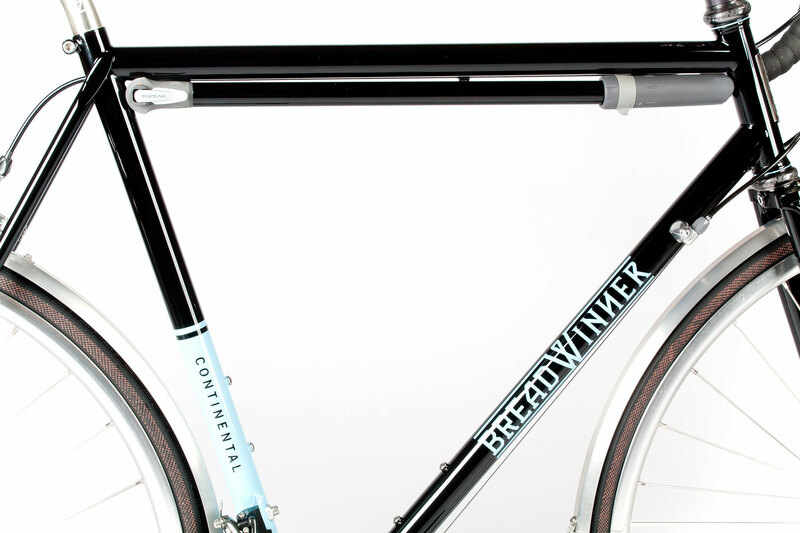 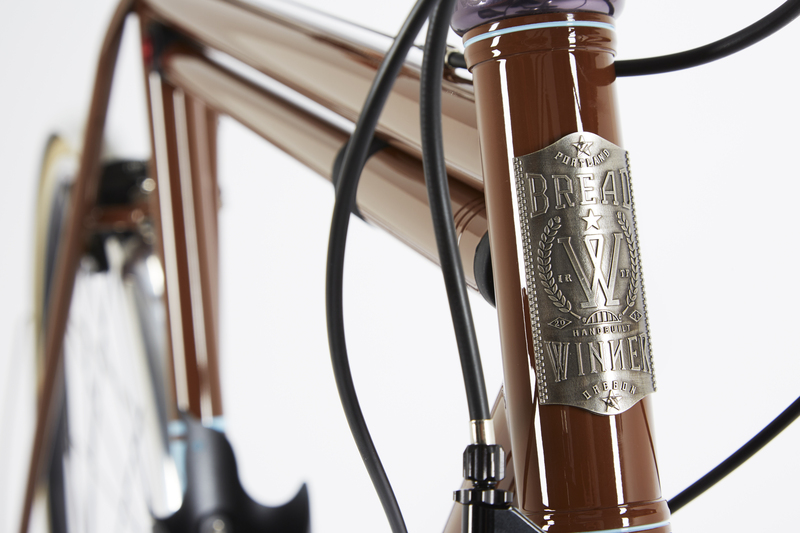 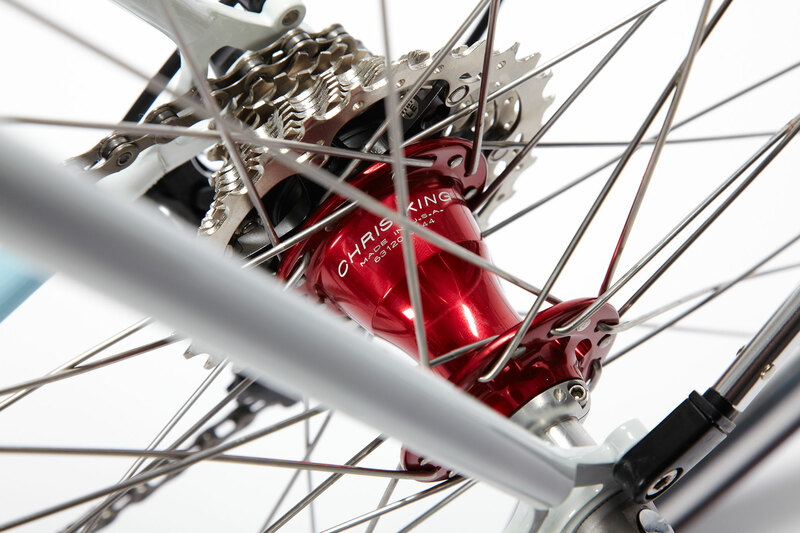 The clean finish of the Breadwinner Stainless Open Drop Out. 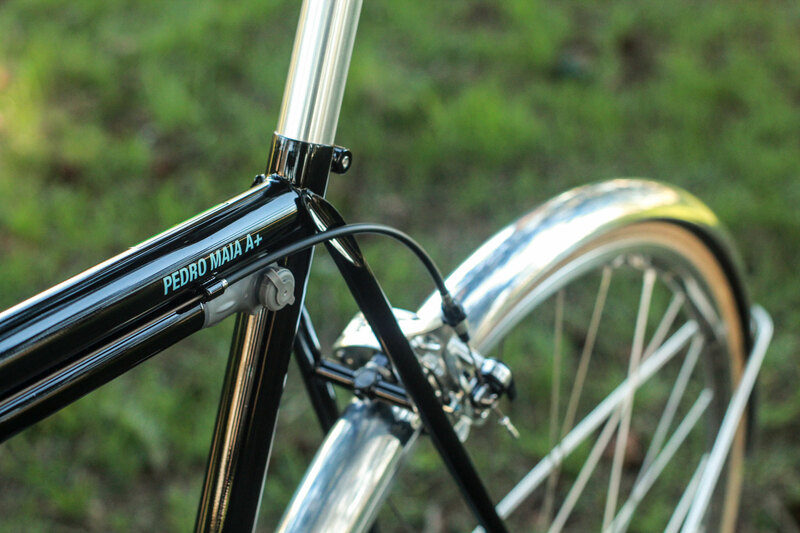 Head badge and frame details. 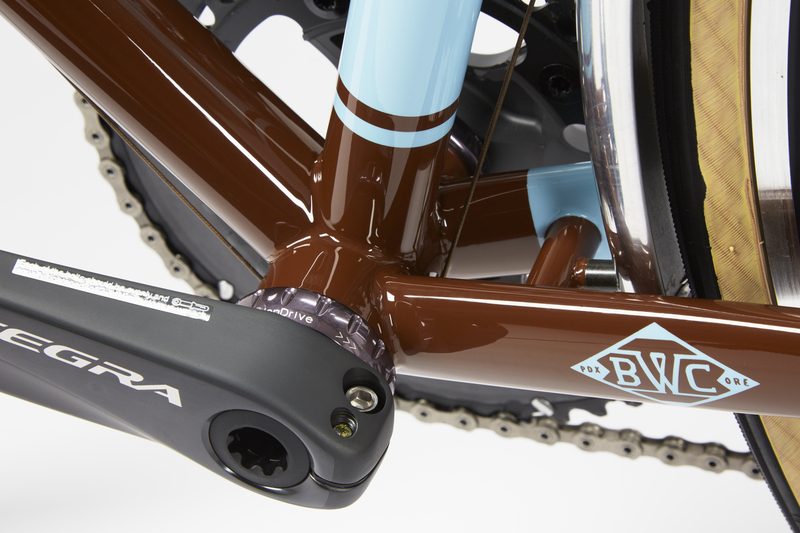 ToPeak Road Blaster frame pump painted to match. 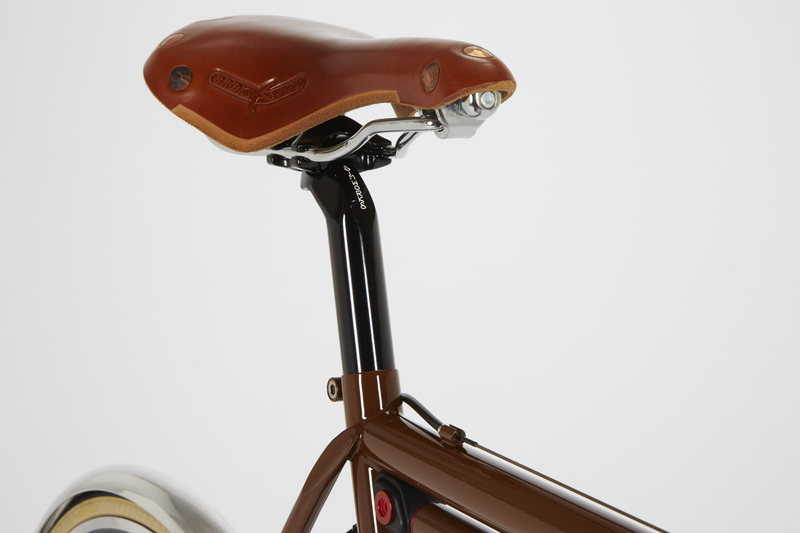 Brooks saddle sitting on top of Simworks Beatnik post. 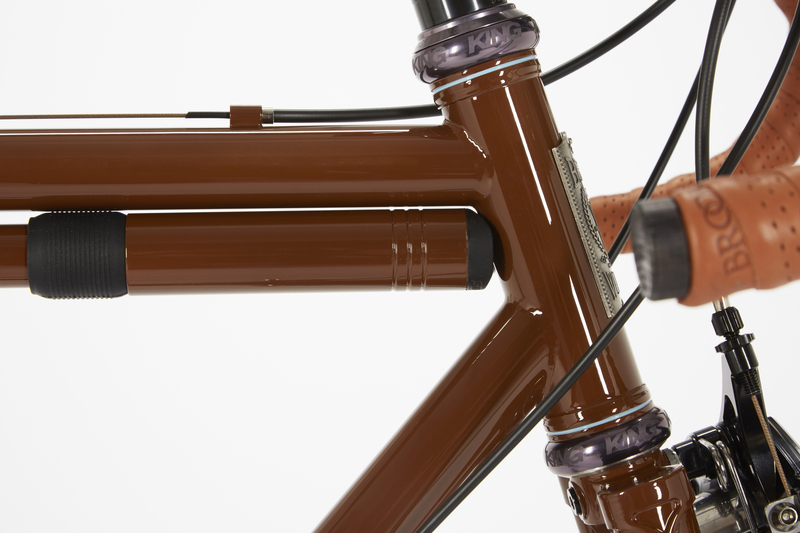 Two Portland Design Works Bird Cages. 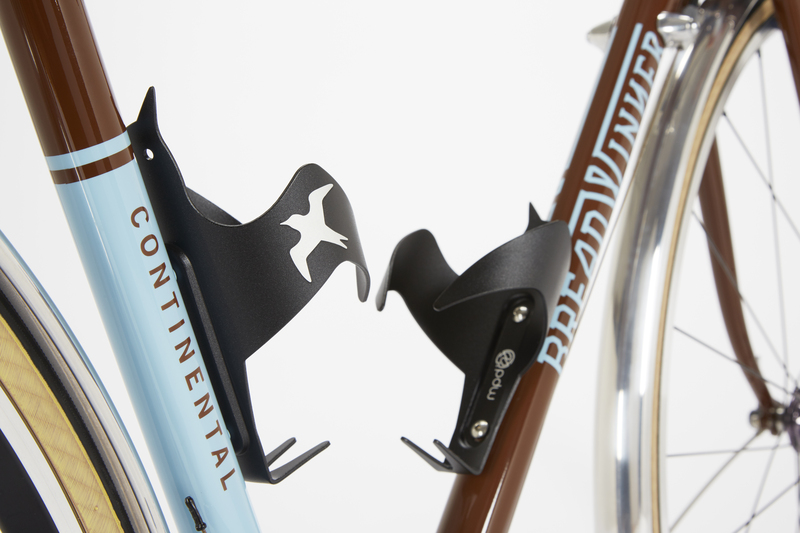 Yes, we put a bird on it. 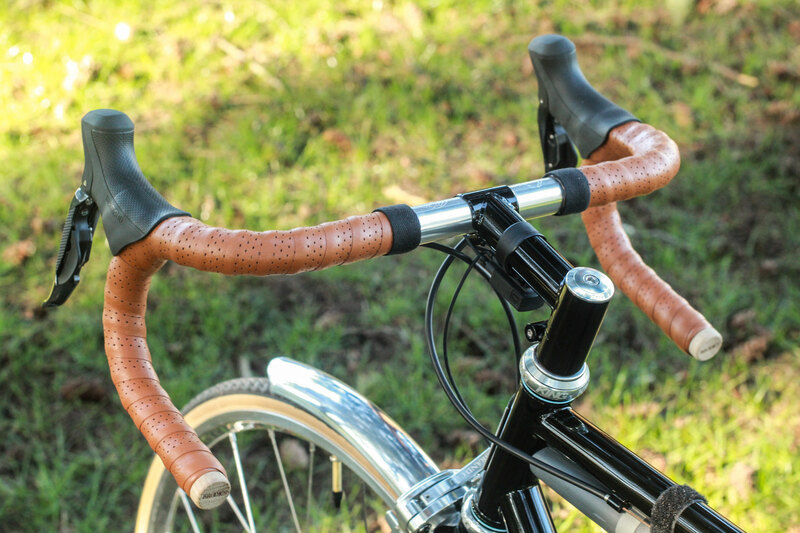 Brooks Leather bar tape and custom stem. 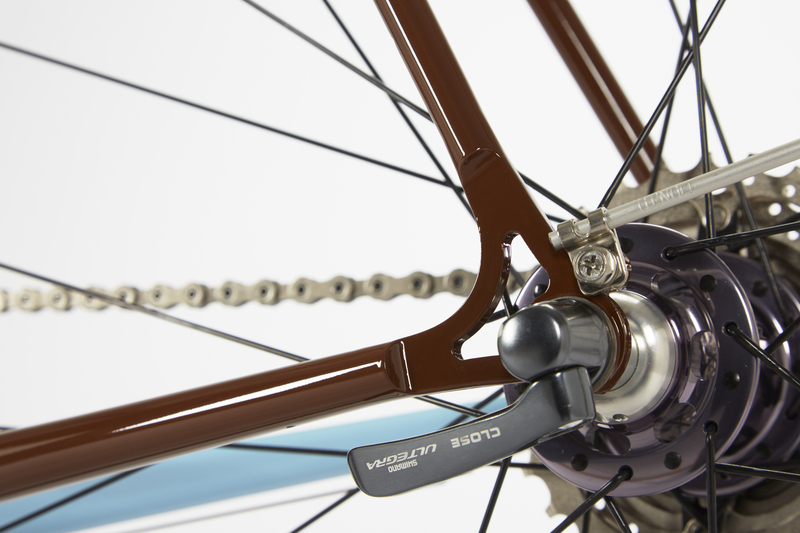 Lugged steel fork and long reach brakes.